Alumni are connecting with faculty, staff, and students by volunteering with Plymouth State in many ways – participating in panel discussions with students, sharing their expertise advisory boards, conducting mock interviews for students, and on. Below are some of the current and upcoming opportunities we are actively recruiting for. Please consider getting involved and supporting Plymouth State students. Use the form at the bottom of the page to let us know how else you’d like to get involved. PSU Alumni Volunteers are invited to participate and take classes for FREE over the course of this four day festival. 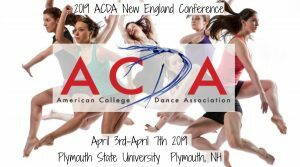 In exchange for a couple hours of your time alumni will be able to take classes, join Q&A sessions with guest artists, and watch adjudicated informal performances form student and professional choreographers. Alumni are invited to a special pre-performance reception on Saturday, April 6th from 4:45- 5:45 p.m. Join us for appetizers, drinks, a special unveiling from Prof. Amanda Whitworth, and an exclusive performance! Click Here to volunteer for the conference! Alumni Admissions Representative: Work closely with our Admissions Office and represent your alma mater at local college fairs, your old high school, and other similar events. Alumni play a vital role in bring Plymouth State into their communities. Share your knowledge and love for Plymouth State with the next generation of Panthers. Volunteers meet with PSU staff and are equipped with the knowledge, training, outreach materials, and PSU attire needed to have a meaningful experience. Volunteers are fully supported by the Admissions Office and Alumni Relations team. New Student Mentoring Program: Can you remember opening that college acceptance letter in the mail, feeling all that excitement, followed by all those questions? Plymouth State is engaging alumni in mentoring 1,200 first year students as they begin their college experience. Launching in May 2019 alumni mentors are matched with incoming students via the new PSUnite platform. Join your community of alumni mentors by signing up to learn more about PSUnite. Looking for something different? No problem. 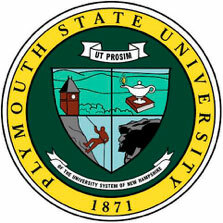 Plymouth State is seeking volunteers to serve in a wide variety of roles. Let us know how you’d like to connect by completing the form below, and we’ll be in touch with more details. help out as a class agent to organize and encourage classmates to come to your next Reunion? learn more about how my organization/business can benefit from partnering with PSU and one of our Clusters? get involved with a regional Alumni Chapter, the Panther Business Club, or other alumni groups?? volunteer at Homecoming & Family Celebration? attend or host a reception for prospective students? host a small private event to encourage increased philanthropic support? Please share any additional information about helping with events, such as your preference for a specific event or region. host a small group or individual students at your workplace? instruct a workshop or schedule a classroom presentation on your career or degree program? call or write to thank alumni, parents, and friends for their support? assist with alumni appeal letters? assist with parent appeal letters? write a story for the alumni e-newsletter? Yes! I'd like to learn more about serving on the Plymouth State University Alumni Association Board of Directors. Please contact me to set up a time to discuss this opportunity. Do you have other skills or areas of expertise that you'd like to share? Please explain your interests.